MUSSET(Alfred de) OEUVRES COMPLETES DE ALFRED DE MUSSET. 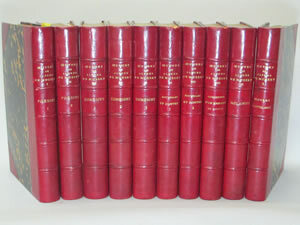 Paris, Charpentier, 1866, 10 vols., ca. 400p. 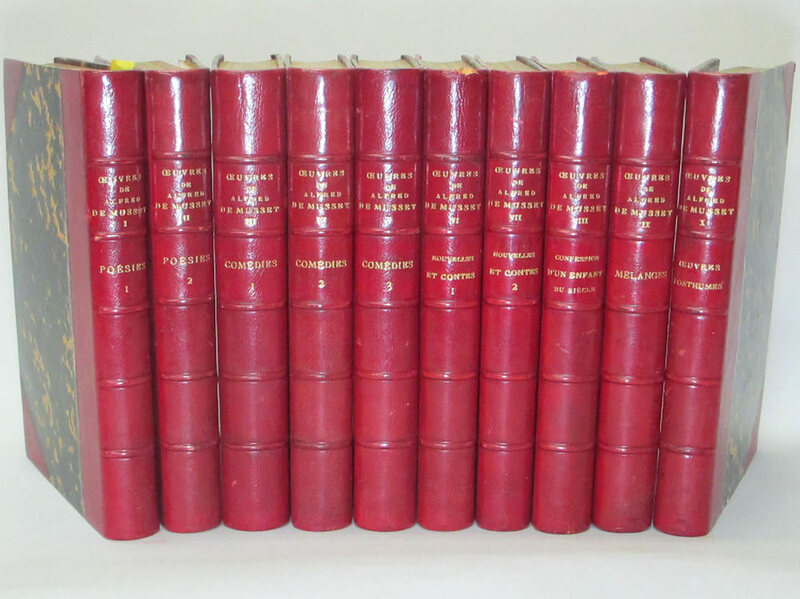 each, 24.2cm, an engraved portrait, 28 engravings by M. Bida, 1/4 red morocco, gilt top.